OnTheClock is an online employee time tracking software for small businesses. Its features include GPS tracking, geofencing, fingerprint tools, payroll management, reports, and more. In this article, we covered user reviews and pricing. Ready to try OnTheClock? Get a free trial. Users who gave OnTheClock a positive review commended its ease of use, affordability, and customizability. Some of them also mentioned that it makes payroll management more efficient through its time tracking, employee scheduling, and mobile notification features. One user who gave OnTheClock a positive review on Capterra said that it has helped automate his employee time tracking tasks. He also said that reports and payroll are more manageable since the software readily provides employee information such as time-in and time-out logs. As of the date this article was written (12/05/2018), there are very few negative OnTheClock user reviews online. Some of them wished for quicker access to reports. Others also experienced glitches on its mobile app. It is notable, however, that most users are happy with the software in general. 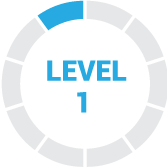 OnTheClock offers a free plan and paid subscription plans which range from $2.20 to $2.50+/employee/month. The main difference between the plans is the number of employees included. Ready to try OnTheClock? Get a free trial. Best Time Tracking Software 2018 — Harvest vs Mavenlink vs Toggl — In this guide, we compared the best time tracking software in terms of affordability, ease of use, and available features. We also shared our top recommendations for specific business types such as design firms and marketing companies. Does OnTheClock give special discounts? Yes. 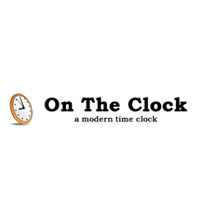 OnTheClock offers special discounts to educational institutions, government offices, and nonprofit organizations. How does OnTheClock help users organize their employees’ work schedules? OnTheClock provides users with free supplementary tools such as time card calculator, time duration calculator, PTO calculator, and more, in order for them to accurately track employee time and schedules. Not sure if OnTheClock is the right fit for you? Read our reviews of all top time tracking software or check out one of these three OnTheClock competitors. Keeping track of employees time is easily done with OnTheClock. Tracks Time off as well as time on the clock. Mobile App is also awesome. Running reports on time off could use some work.